The Mo Mowlam Centre at Oakwood Integrated Primary School houses a sensory room and a training room. The resources in The Mo Mowlam Centre have been selected to complement both the skills of teachers and the strategies they use as they break down the barriers to learning. The sensory room, in particular, is a haven for children who have difficulty with social interaction and communication. The provision of educational opportunities for all is vital and this facility will allow children who may not normally be able to cope with the pressures of mainstream schooling the ability to integrate and communicate with children of their own age group. 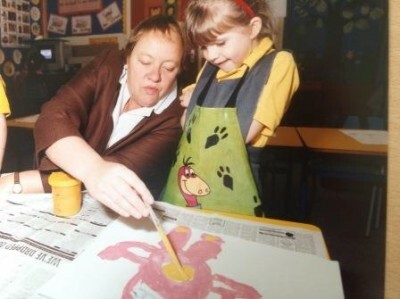 In 1999, Mo Mowlam enabled Oakwood IPS’s parents to achieve their dream to educate their children together and to break down cultural, religious and social divides in doing so. It is fitting that the centre, named in her honour, helps us break down those barriers to learning which disadvantage some of our young people. The Mo Mowlam Centre is part of her legacy in Northern Ireland that we are all enjoying and a tremendous tribute to both her and the concept of children being schooled together regardless of religious or political persuasion. The Centre was funded by the Integrated Education Fund, Jack and Jackie McDonnell of The American Ireland Fund, the Reconciliation Fund of the Irish Department of Foreign Affairs, the Durkan Group and the Department of Education, was officially opened by the former Secretary of State’s late husband Jon Norton.